RIM may have designed it, but the iPhone gets it first. Research in Motion showed off its BlackBerry 10 operating system earlier this month at its BlackBerry World event in Florida. While many have branded the release too little too late, it does have some features that actually look pretty nice. One of those is its gesture-based predictive text keyboard, which allows you to swipe a single key to input common words. Thanks to one iOS developer, this feature will be available on jailbroken iPhones before it gets its official debut on a BlackBerry 10 handset. Pretty nifty, right? While this type of input isn’t going to be ideal for everyone, for those of you who are happy to spend some time getting used to it, it’s likely to be hugely helpful. Like BlackBerry’s solution, Octopus learns the words you type most frequently and then presents those above the iPhone’s keys for quick access. 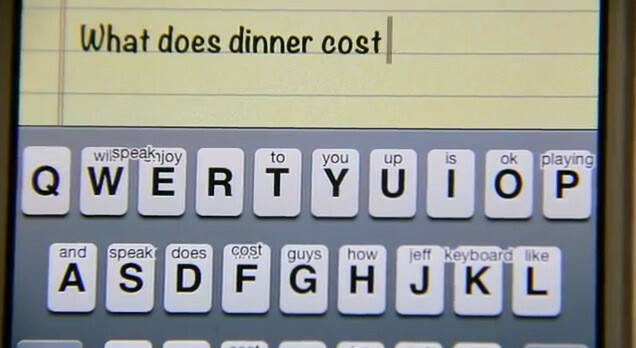 It makes typing on a virtual keyboard that little bit faster. Hros is hoping to make Octopus Keyboard available through Cydia by May 20. Will you use it?